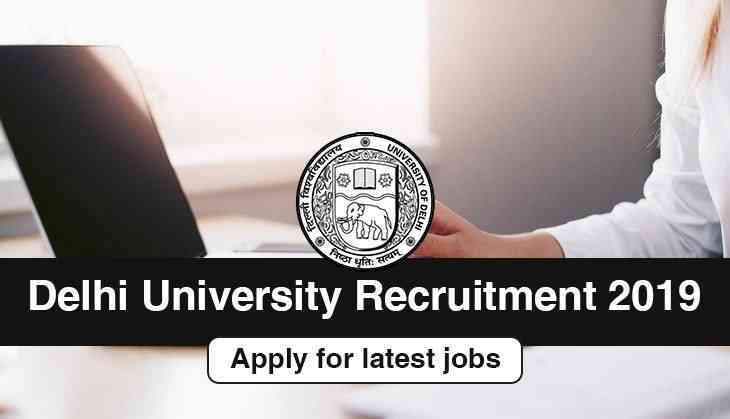 A job opportunity released by the Delhi University for candidates for the posts of Junior Research Fellow (JRF)/ Techincal Assistant. To apply for these posts, candidates should fulfil the criteria released by the DU. However, there will be a walk-in-interview for the recruitment of these vacancies, which will be held on 24th April 2019. DU has released the vacancy in the Department of Environmental Studies. There is a total of 01 posts released for Junior Research Fellow/Technical Assistant. Interested candidate should have a Masters degree in Life Science with the NET score. Candidate should have done B.Sc. in Life Sciences, including the experience in conducting workshops and Seminars. Candidates will be selected on the basis of their performance in the Interview which will be organised by the department. Seminar Room No-1, Department of Environmental Studies, University of Delhi (North Campus).